Modern radiotherapy treatments aim to deliver the highest possible dose to the smallest possible area, to limit the damage to healthy tissues. This is achieved using complex radiation fields that deliver intense radioactive doses to areas of only a few millimetres across. However, the methods to measure these doses are not accurate enough, and improvements are needed to bridge the gap between the reference standard and clinical conditions. 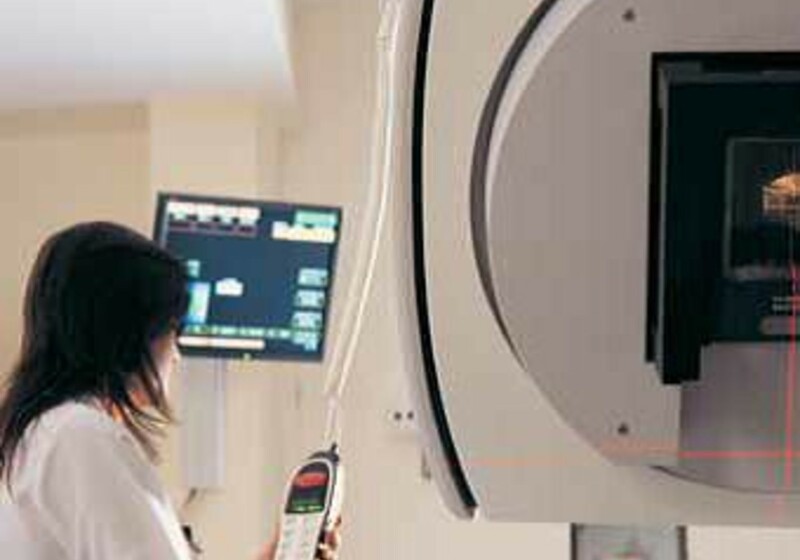 Lack of standardisation of dose measurements means treatments may not meet the requirements set out by the International Commission on Radiation Units and Measurements (ICRU). The EMRP project HLT09 Metrology for radiotherapy using complex radiation fields developed primary standards and good practice guidelines to improve the accuracy of dose measurements in clinical settings. This enables clinicians to demonstrate that the delivered dose matches the planned treatment. Developed and validated new references for ‘absorbed dose to water’ for medium x-ray energies, which are important in the delivery of radiotherapy. Determined and validated correction factors for water and graphite calorimeters and ion chambers used to realise the absorbed dose to water - a surrogate for the body - for new forms of scanning clinical proton and ion beam therapy. Developed a traceable measurement system for the verification of dose and its distribution in complex radiation fields used in treatment plans. Developed and validated measurement methods using body models to enable the accurate verification of treatment plans and generated guidelines for use by the European radiotherapy community. The project team worked with radiotherapy equipment manufacturers, hospitals and regulators to ensure the improved measurement traceability developed in this project is relevant and suitable for adoption by the user community. To address calibration requirements for highly focused complex field x-ray therapy beams, the project developed a new calorimeter to measure the absorbed dose to water needed to meet ICRU requirements. An improved calibration chain has been implemented linking absorbed dose to water standards to clinical instruments and patient treatment for the small radiation therapy fields used during cancer surgery and therapy. The project also demonstrated that commercial diamond detectors (developed in a precursor project) used to validate dose in traditional radiotherapy are suitable for generating a direct traceability chain for the new types of small therapy beams being introduced in to cancer therapy.